I’m doing it… yes, I’m doing it! It’s been ages, but finally here it is: A review (well, sort of) of a classic retro game. It’s time for some Commando. Originally released by Capcom in 1985, then ported to various systems the same year, Commando is a simple, but fun shooter where you, believe it or not, shoot bad guys. Yes, that’s it, nothing too sophisticated. 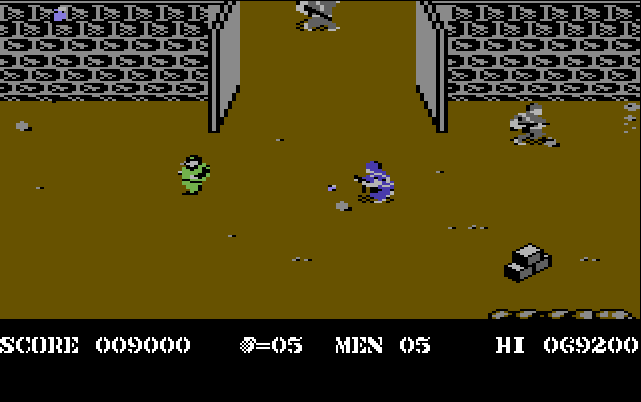 Unlike on the arcade, which had eight different levels, the C64 port consists of a meager three. So completing the game can be achieved in less than seven minutes, and if you’re really rushing it, in about three to four. 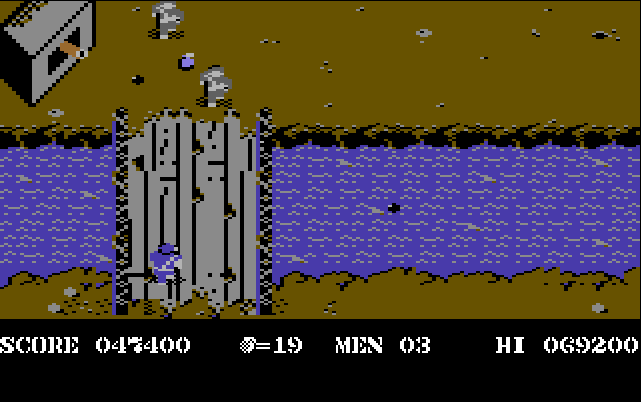 The perhaps most recognisable feature of Commando on the C64 is the music. Composed by Rob Hubbard, it is one of those tunes that is familiar to everyone who owned a Commodore 64 back in the day. I would even go so far and say it’s one of the most well-known and popular tunes in retro gaming. 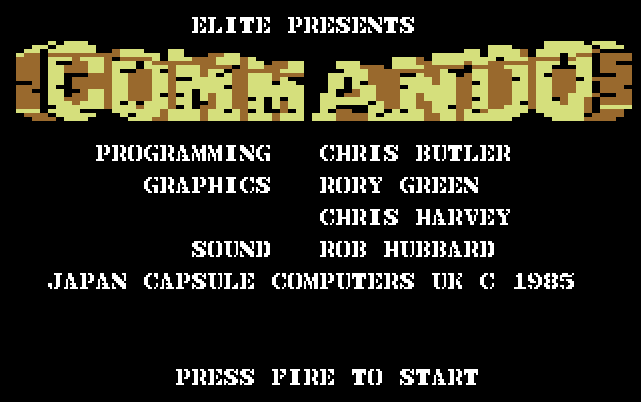 Now, I did read or watch an interview with Rob Hubbard some time ago, where he was talking about the making of the Commando music, and mentioned meeting up with some guy from Elite (the lead programmer??) in a pub where they discussed the game. Late at night, after countless pints and being completely pissed up, they went to an office where Hubbard started coding, while the other guy went home. When he came back the next morning, the music and sound effects were done. So yes, one of the most iconic game tunes of the 80’s was completed by a drunk Hubbard in one sitting. From a technical point of view the game is far from perfect, like flickering sprites and enemies occasionally stuck in a rock. Should you reach the end of a level the whole game slows down to a crawl, due to the amount of enemies on screen. But blame that on the hardware limitations of the Commodore 64. 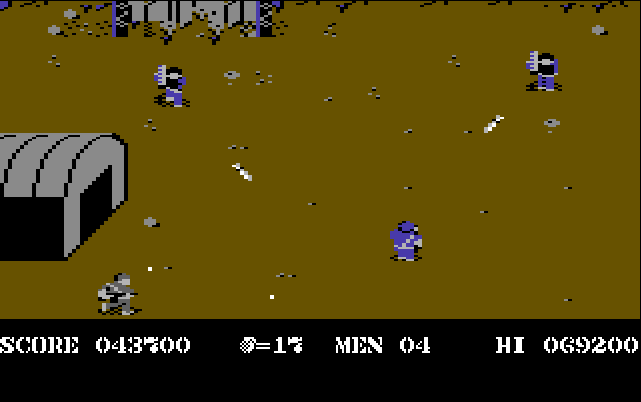 Apart from those technical issues, the game is quite fun, even 30 years after its release on the C64. And I think that’s the most important part, isn’t it? ← Damn you, Fallout 3! To be honest, I doubt the game would’ve been the same without that music. [plays Commando and mutes sound]… yeah, it’s not the same, really. It’s just one of those tunes that’s stuck in your head for the rest of your life, I assume. 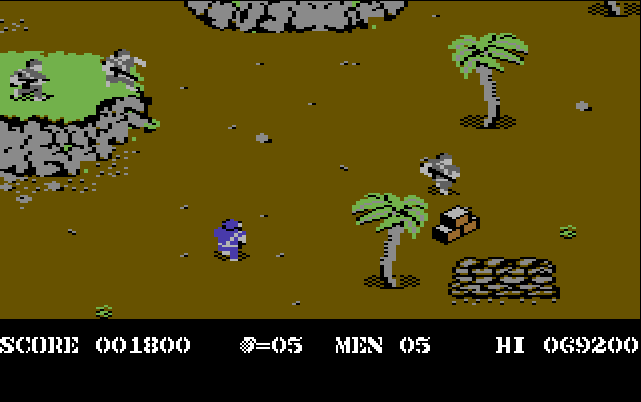 Speaking of theme tunes, ever played Hawkeye on the C64? The game itself is mediocre, but gee, that main theme! By far my favourite tune on the C64.